Ylemparto, New Delhi" established by a team of qualified, experienced and dedicated engineers and entrepreneurs having more than glorious 35years of experience in Project Management, Design Engineering, Consultancy, Procurements, Manufacturing, Supply, Erection, Testing, Commissioning, and Annual Maintenance of Chemical Plants/Equipment in various key process units. Our range of products cover Conveyors Systems, Air Pollution Control Systems, Storage Tanks, Reactors, Pressure Vessels, Distillation Units, Mixers, Silos, Condensers, Evaporators, Vacuum Systems, Absorption Towers/Columns, Heat Exchanger, Filters, Dryers, Furnace, Effluent Treatment Plants, etc. We use best raw material for the production and go through extensive quality analysis to retain the superb quality. We have employed a strong team of professionals, which work actively with a sense of team spirit in order to execute various turnkey projects. Clients can firmly believe on us basing on two parameters; high quality and advanced technology, and reliable and expert services. 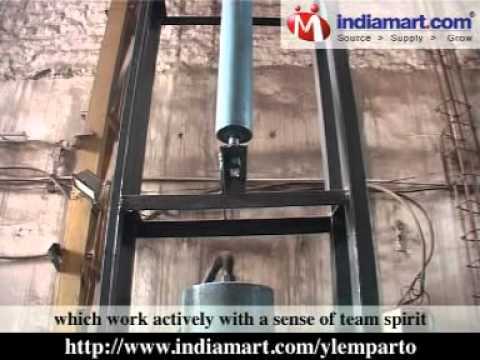 Ylem Parto solutions is working with a view to provide solutions through out the industries. Providing customized solutions as per the process requirements. To achieve this highly educated technocrats and techno-commercial experts have come together forming the management of this company.